Dr. Dennis A. Ostwald and Benno Legler, WifOR, will at ScanBalt Forum 2017 present and discuss the economic footprint of the Health Economy in the federal state of Mecklenburg-Vorpommern and the whole of Germany as an example. This provides input to a plenary discussion on the need for a digital health agenda for the Baltic Sea Region and to what should to be done. In 2009, Dr. Ostwald founded WifOR, an economic research institute conducting quantitative analysis in the fields of labor markets, healthcare industry, health economics and value creation. 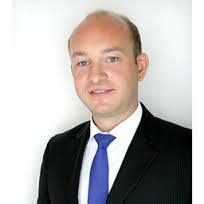 Mr Legler is Head of Health Economy Research at WifOR (Berlin office).